Here is what I think I know. 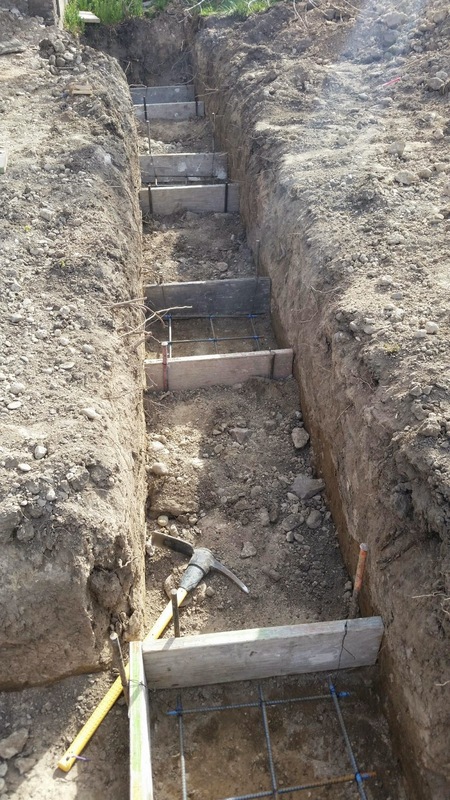 Today they finished all the frames and prep work for the footings. I think. But before the footings can be poured the city has to come and do an inspection. And when I talked to the builder yesterday he said they wouldn't do their inspection until the building permit had been paid for. And he was waiting for the bank to cut him a check. I tell you, getting a loan to do this has made everything 75% more complicated. Sigh. If only we were independently wealthy. 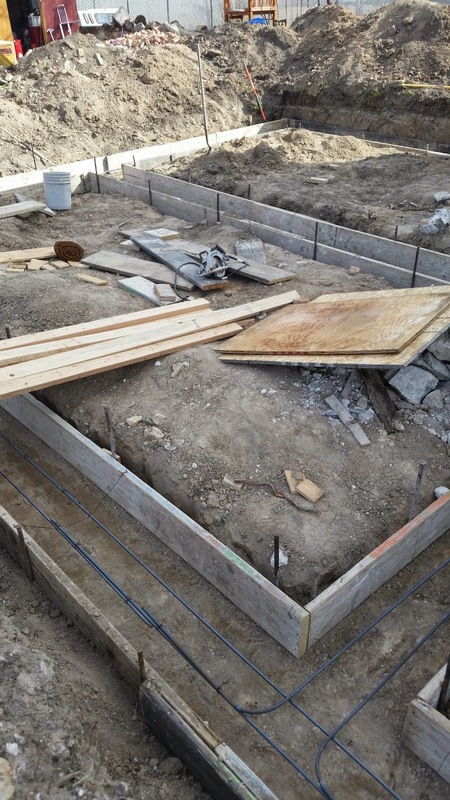 My hope now is that they'll be able to do the inspection soon enough that they can pour the footings on Friday. The cement needs 3 days to dry, and I'd love those days to be weekend days. I'm not going to hold my breath though. I can only hold it for like 16 seconds anyway, so it's not like that would do me any good.